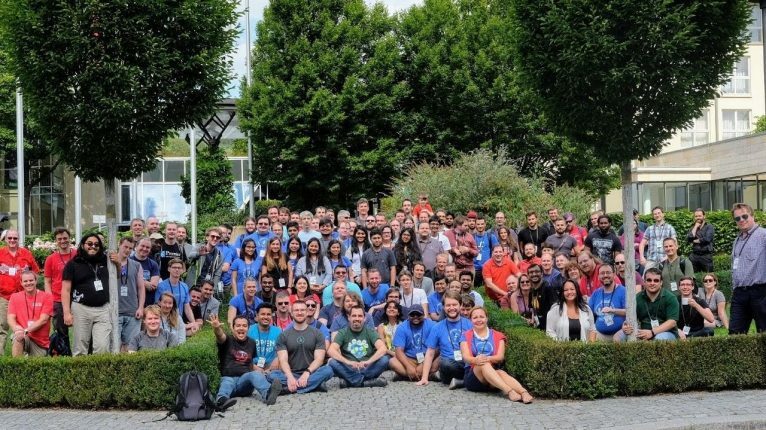 I attended Flock this year which is the Fedora Project’s annual contributor-focused conference. This was my first Flock and it turned out be one of the best conferences I have attended so far. It was a total 4 day event, where I got a chance to learn more about fedora, how things are changing in fedora and meet people face to face. There were many exciting things in Flock besides talks like hack fest, workshop and many activities like Yoga, Candy swap, Scavenger Hunt which made it more interesting. The day started with the morning Yoga. 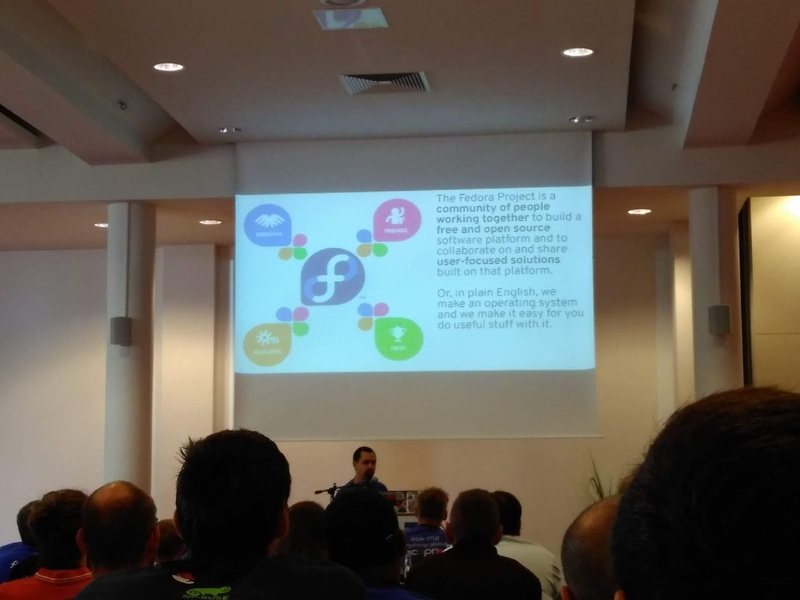 Then the first keynote on “State of Fedora” where Fedora Project leaders talked about their objectives and editions. It was really helpful in understanding what are the new changes and how they are going to effect the community. 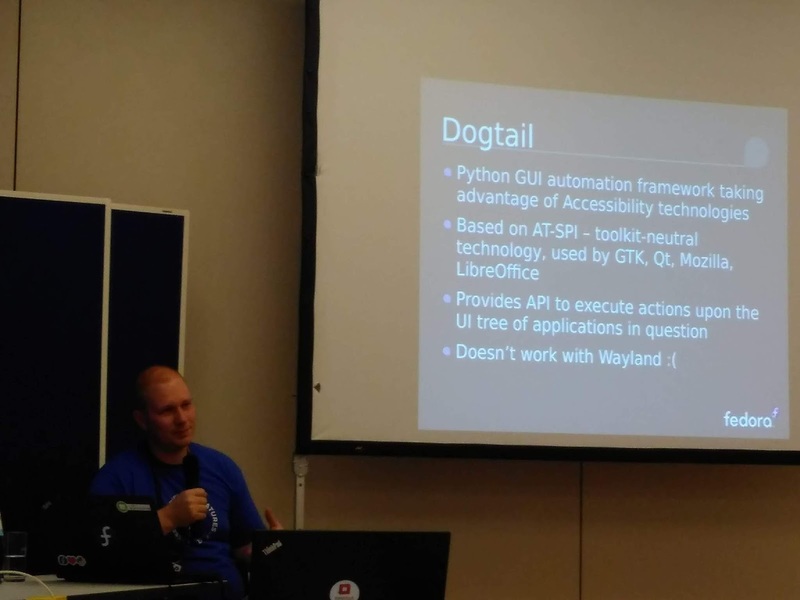 There were lot of interesting talks from which I selected few, which were “RHEL,Fedora and CentOS: Solving the Pentose Triangle” by Josh Boyer and Brendan Conoboy. After this I attended a talk on “Desktop testing using dogtail and behave” by Petr Schindler as I want to know more about desktop testing and the framework he was using for this. After the talk we also had a great discussion about the framework, it was really great to know more about desktop testing. 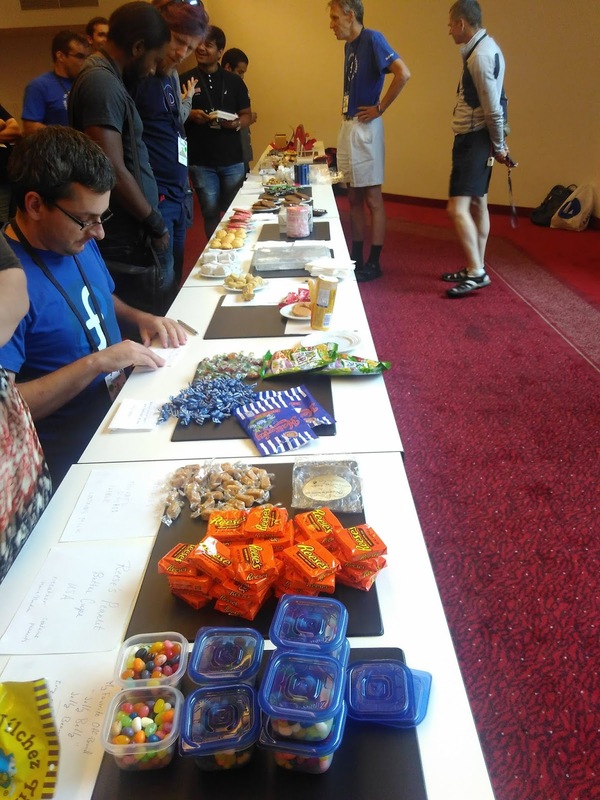 After this there was Candy Swap event which was organised by Justin Flory, where people from different country bought candies , I also took some Indian candies and sweets to share with others.was a great event, got to taste lot of candies from various regions . It started with keynote: “The Power of One:For the good of community” by Rebecca Fernandez which was really motivating as she talked about how we can bring change to the community which are good for others and how we can make a change in the community which we are wishing for. 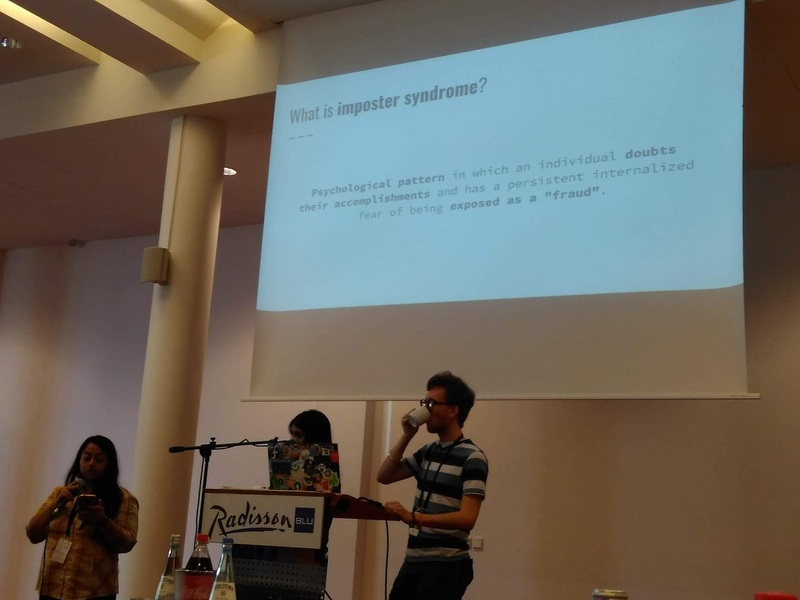 Then I attended a workshop on “Imposter Syndrome and Unconscious Bias Training” by Jona Azizaj, Justin Flory, Bee Padalkar, Amita Sharma as I want to understand how this can be identified and how we can overcome this. This was a interactive workshop where we identified are we suffering from this Syndrome or not and how we can manage it in our life and workplace. Then I attended talk on “Fedora CI:Process, Progress and Infrastructure” by bstinson as I have strated contributing to CI and want to know more about the process. 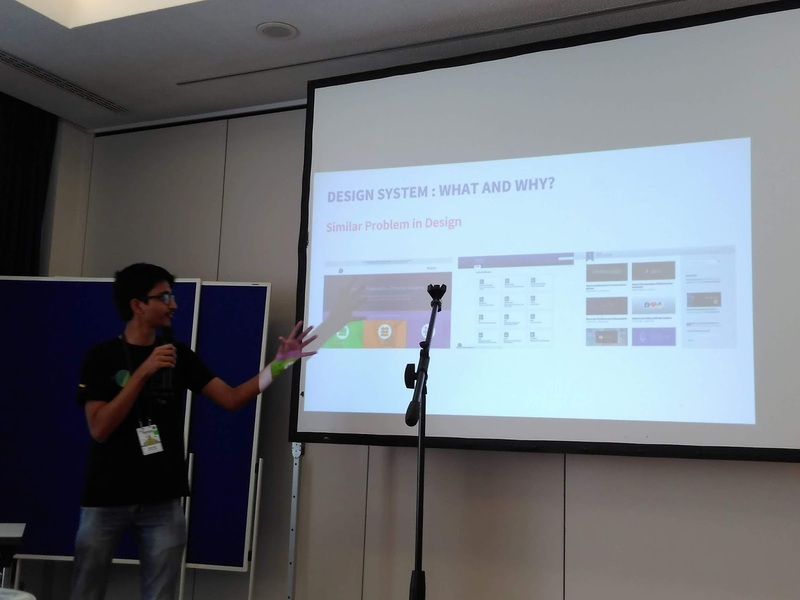 After this I attended a talk on “Scalable Fedora Design” by Abhishek Sharma where he shared his knowledge on design system and how Fedora can embraces a design system to ensure consistency and manage design debt. The day ended with Scavenger Hunt which was organised in the Downtown(Dresden) where we got to know about some interesting facts and history of Dresden. It was really fun going around the city and completing the tasks given. Thanks to the organizers Dominika Bula,Brian Exelbierd , Jennifer Madriaga. I really enjoyed acting a scene from a movie where we in-acted a scene from a bollywood movie “Sholey”. We had hackfect on “i18n development and testing” postlunch. In morning I had a discussion with Lukas about OpenQA as I need to discuss some issues. He told me about how they are using it and his framework which he build to create needles. It was really great to know we can create needles and use them for OpenQA without using OpenQA needles editor with this framework. As I am using OpenQA for automation so it was a great help. We had great discussion about OpenQA which cleared many doubts of mine. It was great to have this hack fest, as now we were clear on many things and know how we can proceed further with Upstream First and CI initiative. After this we went for Dinner at Roller Coaster Restaurant where everything came rolling to us, it was fun :P. There also I had discussion with lot of people. I met a guy from opensuse with whom I talked about OpenQA, also had some healthy conversation with Dodji about exercise, diet and health. It was a great evening spent well with great people. On the last day most of my time I spent socializing with different people from different domains. I also attended lightening talk to gather more knowledge in less time. All the lightening talks were awesome. After this we had group photo followed by Wrap up Session. The conference was really good, as I got to know people who can be bugged for specific issues and with whom I can discuss various issues. I also really enjoyed the various events at flock and stayed fit by attending the morning Yoga session . Thanks Suzanne Yeghiayan for taking these session. 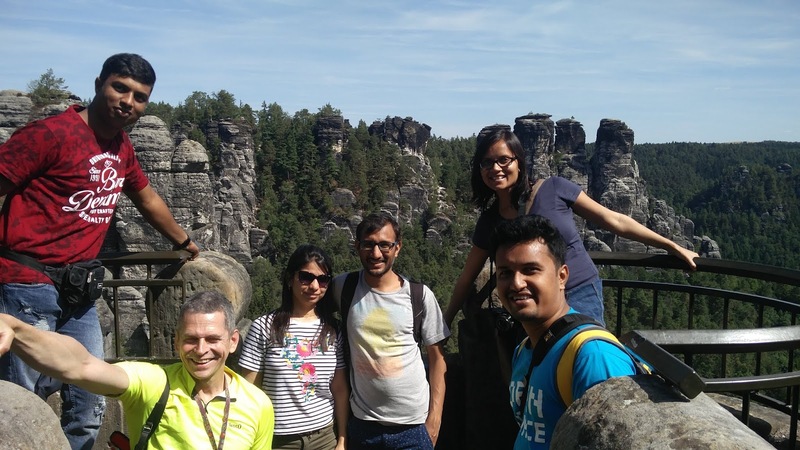 Next day, we(Pravin, Sinny, Mike, Praveen, Sayan) went to Saxon Switzerland for a trek, it was great trek with you guys. Thanks Mike for taking us to such a beautiful place. Thanks everyone for making this a awesome conference. Original article title: Pooja Yadav: Flock- 2018. This full article can be read at: Pooja Yadav: Flock- 2018.